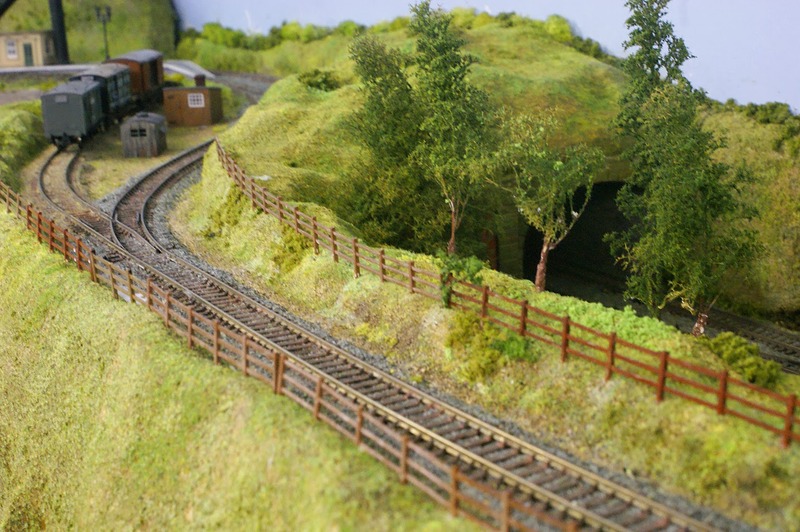 At the weekend we started planting trees along the embankment between the main line, running along the bottom, and the branch line, running along the top. The trees are from a pack of Gaugemaster Seafoam Trees (GM195), which were duly treated with spray on glue and then sprinkled, dipped and coated with various shades of green scatter material. 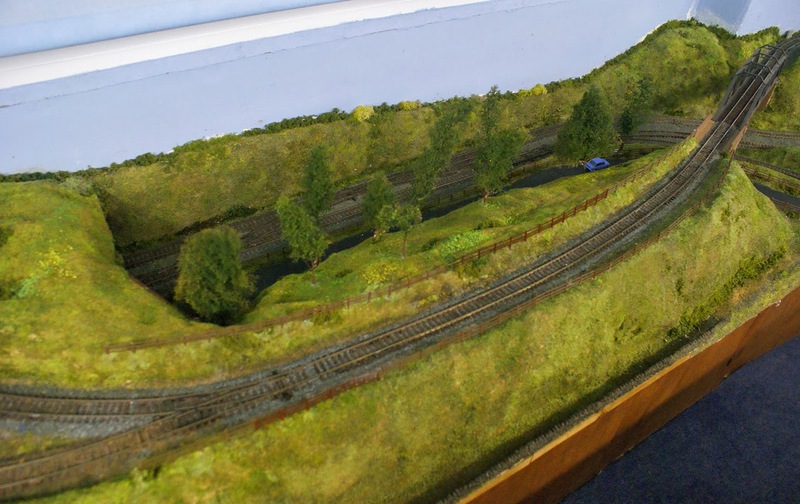 The fencing, along either side of the branchline, is the faithful old Hornby Trackside Fencing (R537), of which we had plenty, with the bottom bar removed to make it a three-bar fence rather than a four. 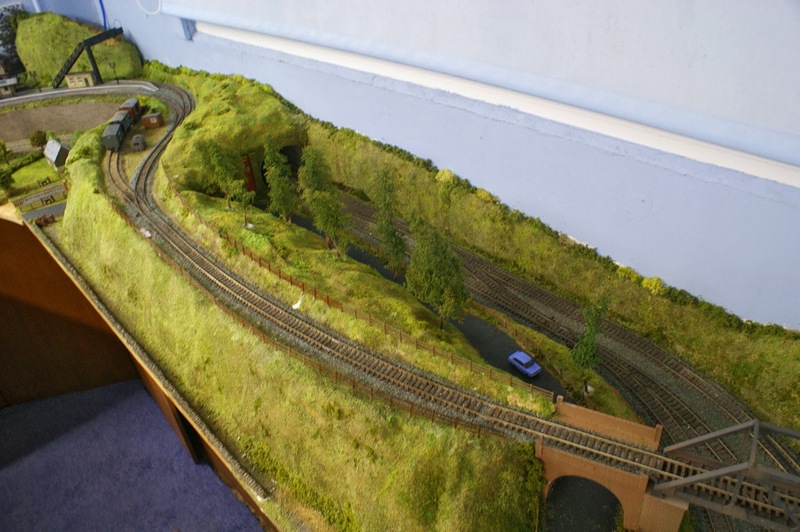 More trees, bushes and undergrowth will be added during the next week or two to transform what was a plain embankment into a wooded landscape that will, almost, conceal the main line from view.